digital-media-lab - research: How do people use social media in India? The internet has completely revolutionized the world. Just like any other country, India, too, has seen an influx of several social media platforms. It is among the world's fastest growing economies with a sizeable number of the population, according to BBC 121 million, having access to the internet. India is a land of diversity. The country is home to people belonging to different cultures. Due to this large variety of people, it is difficult for India to have a Numero Uno social media platform. Nevertheless, Facebook seems to have found strong roots in the nation. Facebook, which currently has over 65 million Indian users, overtook Orkut in 2010 to become the number one social networking site in the country. Until 2010, Orkut used to rule the charts in India with close to 20 million unique users; however, with Facebook changing its policies and the introduction of new Facebook games and apps features, a lot of Indians have diverted to Facebook. Additionally, the website is also available in India’s national language, Hindi, to make it easier for people to browse it. It can be easily said that a huge section of India’s internet users now use social media for most of their sharing and conversations in comparison to e-mails and other substitutes. Social media allows vibrant communication because of the ease of sharing documents, images, videos and other forms of data. Moreover, the introduction of 3G services in India has also resulted in an increase in the use of social networking sites. Statistics from StatCounter show, that a large portion of people in India now browse the internet using their mobile phones. Leaving Orkut behind, Facebook is at the number one position in India, with Twitter following closely with more than a million users at the moment. The number of Indian celebrities, such as Shah Rukh Khan and Priyanka Chopra, registered on Twitter has helped it grow as their fans flooded Twitter to stay in touch with their idols. Nonetheless, Twitter has yet to find the success in India that it has found globally. Many believe its word count limitation to be the reason for its comparatively slow growth in the nation. 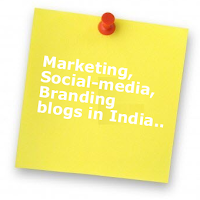 People in India also use social networking sites to branch out and find new opportunities. Websites like LinkedIn and BharatStudent are extremely famous in the country. The former bridges the gap by bringing professionals under one roof, and the latter, which is India’s own social networking site, is aimed towards youth, particularly students. It is surprising that a small brand like BharatStudent has carved a niche among such aggressive competition. As per experts, it is because many people in India like being associated with what they own. Additionally, brands are also quickly using social media as an online marketing tool to promote their businesses. Bollywood movies are extravagantly promoted on social networking sites. Big brands, such as Maruti Suzuki, are also looking at internet marketing with a lot of potential. With more and more Indians jumping the bandwagon, big things are expected in India’s social media world. Facebook is expected to continue its dominant position with its competitors growing at a snail’s pace.